Contractor Arch.Design, who were selected in July, will carry out a technical study of the construction of Komárov Velodrom by December of this year. Visualisation: Arch. Design. 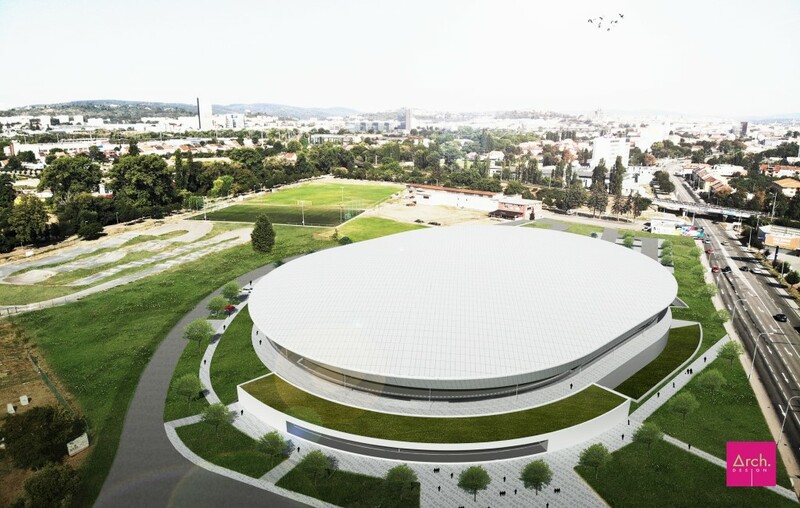 Brno, Oct 2 (BD) –The City of Brno revealed the visual projection of Brno’s future velodrome on Wednesday, September 26. The velodrome will be located on Hněvkovského in Komárov. Construction is planned for 2019-2021. “The velodrome will have two floors. On the lower floor, there will be a facility for athletes, a bicycle storage room, and two sports areas. On the second floor, there will be a cyclist hostel with 40 beds, a restaurant, an institute of sports medicine, and a space that will simulate the alpine environment. It will be a complex centre for top athletes,” said Jaroslav Suchý, Brno Councillor for Education, Youth and Sports. In addition, there will be a place for gymnastics or indoor ball sports in the centre of the oval. The old velodrome on the grounds of Brno Exhibition Center, known as Favál or Bauerák, is awaiting demolition. The velodrome was used throughout the golden era when cycling was a form of mass entertainment, and has a 400-meter-long covered concrete track. The World Cycling Championship was held there twice, in 1969 and in 1981. Favál has also played host to extraordinary concerts by artists including Iron Maiden, Motörhead, and Lenny Kravitz. The old velodrome will be replaced by a multifunctional arena with a capacity of 12,000 spectators, which will host important sporting, cultural and social events. The city is planning a bid to co-host the ice hockey world championship in 2024, as announced on the City of Brno website on Thursday, September 27.